I could call this post 'How not to have a jewellery stall at a local market'. Except let's face it, the details get a bit boring. 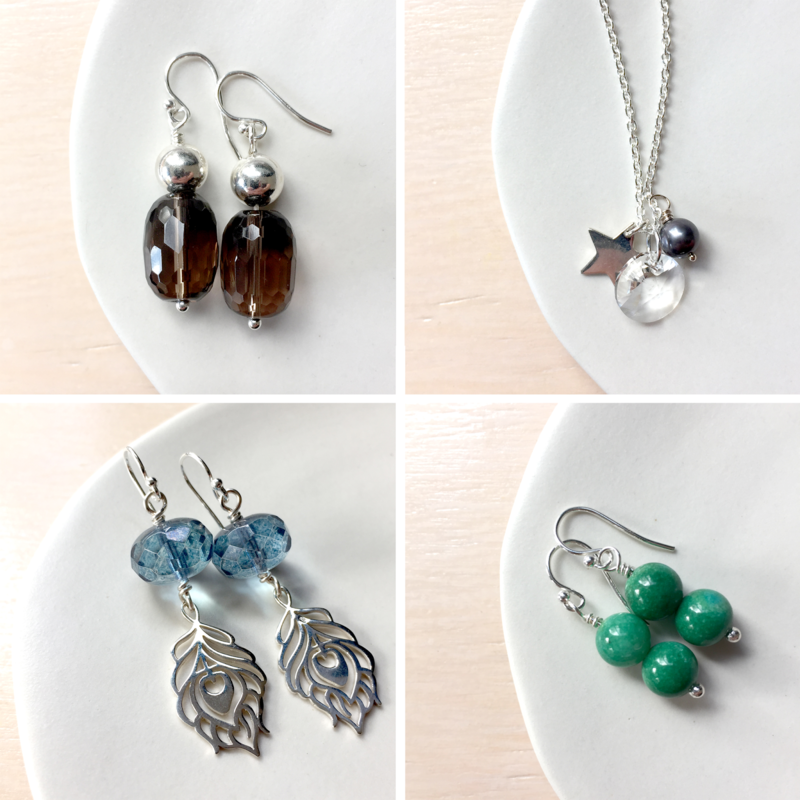 I love making jewellery, but I haven't developed the knack of turning it into a small business. I have a fair idea of what I'm doing wrong, but I keep doing the same thing over and over again. I think partly because I just have so many materials that are just sitting around not being used. My little local market is as easy as it is going to get. Close to home, tables provided, an indoor venue, very cheap to attend. And yet I make the same mistake of taking the boys with me both times, thinking it'll be easier the second time around. So lesson learnt! I am not ready to be selling anything at markets, and I won't be until I have independent children. And a clear strategy for the products I'm making and selling. Currently I make what I fancy making, with virtually every item made only once. And time. It took a lot longer to do nowhere near as much as I'd hoped, which resulted in a very stressful September. The next local market is between xmas and new year's. Definitely not spending December stressed out about this. There is a knack to preparing for markets which I need to learn as well. In the meantime, here a few of the new bits I made for the last market. Everything looks lovely Michelle. Will you be selling your stock online? It must be really hard taking both boys. Could you send them both on playdates next time? I can't send them to someone for the whole day, it's too much to ask, and the markets are at times when people are often away, or make last minute changes to plans, like long weekends etc. I'm not sure, might re-open my MadeIt shop, seeing as how I have quite a bit of stock now.